Medical tourism is a term that has risen from the rapid growth of an industry where people from all around the world are traveling to other countries to obtain medical, dental, and surgical care while at the same time touring, vacationing, and fully experiencing the attractions of the countries that they are visiting. Medical tourists are generally residents of the industrialized nations of the world and primarily come from The United States, Canada, Great Britain, Western Europe, Australia, and The Middle East. But more and more, people from many other countries of the world are seeking out places where they can both enjoy a vacation and obtain medical treatment at a reasonable price. 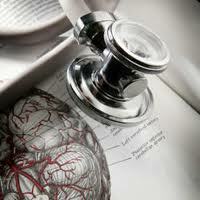 World-class medical care, equipment and facilities. Immigrant citizens not covered by insurance - or those in countries such as the United Kingdom where there are long waiting lists for many National Health services - prefer to receive treatment in a country like India where top-tier institutions can provide high-quality health care at a fraction of the cost. American & European system is excellent, but the cost and the compulsion to send people home early is actually stressing out many people, and they prefer to come to our country where we can take care of them in a more personalized and comprehensive manner. Our training standards for doctors and nurses are those equaling to U.S. levels. Indian doctors have established their credentials all over the world. Today, around 24 percent of doctors in America are Indians and 32 percent of the specialists are Indians. Language is another big advantage in India. Doctors and nurses are all Indians but since most of them are trained in United States and United Kingdom people visiting India for treatment do not have any problem understanding them. Several other countries like Argentina, Malaysia South Africa have started programs like Surgery and Safari but are struggling to find the success India enjoys.